It seens Ukip Offer Pikeys & Chinkeys Different Standards due to some Politically Correct form of Ukip racism! 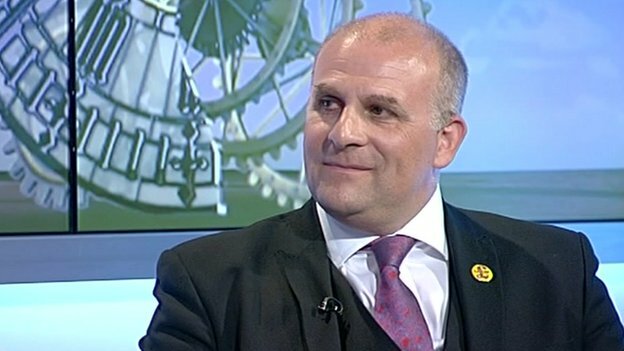 James Carver, who represents the West Midlands, said he received “deeply offensive” tweets referring to him as a “pikey”. West Mercia Police confirmed it had received a complaint and was looking into Mr Carver’s allegations. Mr Carver, 64, said he would “not tolerate such comments, least of all from so-called internet trolls”. “The public must comprehend that the everyday use of this word only serves to further stigmatise these forgotten communities,” he said. On the one hand we have this sad and insecure little man wasting police time and making a great issue of being called a Pikey due to his background yet his leader Nigel Farage has allied Ukip with the racsit gutter sweepings of EU politics in return for increased bribes from the EU. Jim Carver is unashamedly of Romany origins, just as Nigel Farage’s ancestry is German yet both seem only too happy to support and collude with overt racists in their EU EFDD Political Group some of whom can only be described as extremists. On the one hand we have the the racist incitement of the utterly irresponsible Ukip MEP Gerard Batten who due to his chosen superstitions, no doubt exacerbated by his Filipino wife who would have been brought up under the influence of cardinal Sin, who issues anti Islamic propaganda, whilst Nigel Farage the leader of Ukip makes political capital out of exploiting anti immigrant sentiments lately jumping on the bandwagon of ‘Je suis Charlie’. We have on the one hand the insecure Jim Carver bleating about being called a Pikey, surely he is man enough to brush this aside and set out to show how valuable Pikey’s are in our society, just as Nigel Farage supported his protege a Ukip PPC Kerry Smith (CLICK HERE) for his rant about Chinkys! It is clear that due to poor leadership Ukip, even at its most senior has a lack of control, a lack of vision and only when self interest comes to play does it show its true hand. It is unarguable that, as Gerard Batten, Kerry Smith, Jim Carver, Nigel Farage and many others are either overtly racist or at very best all too willing to exploit racism and work with racist extremists – little wonder they have followed in the footsteps of Oswald Moseley and Adolf Hitler who also saw a rise in membership when they singled out minority groups as a target. Clearly there is a pool, in the gutters of political thought, of some 5 – 15% who are largely the losers in a civilised society, who are all too willing to support racism and such parties who espouse it be it e’r so thinly disguised as anti immigrant or opposed to one Bronze Age superstition or another! Clearly Ukip is not just convincingly confussed but very clearly deeply flawed and unfit to represent others, particularly the majority who espouse self determination, reduction in PC, National sovereignty, National borders and a tollerant multi ethnic society melding to form one culture that is ‘British’. Perhaps those who wish to run, crying at every slight, to waste police time, and are clearl;y unwilling or unable to provide leadership and a clear EU eXit strategy that is ethical, practicable and responsible, even after 22 years, should not seek to represent others, whatever financial rewards they personally accrue, and should stick to selling telephones, commodities and umbrellas for which they are clearly better trained and better suited. This entry was posted on 15/01/2015 at 06:22	and is filed under Jim CARVER, Pikey, UKIP. Tagged: Cardinal Sin, Chinky, EFDD, Gerard Batten, GL-W, Greg Lance-Watkins, Greg_L-W, James Carver, Jim Carver, Kerry Smith, Nigel Farage, Pikey, UKIP, UKIP Racism. You can follow any responses to this entry through the RSS 2.0 feed. You can leave a response, or trackback from your own site.